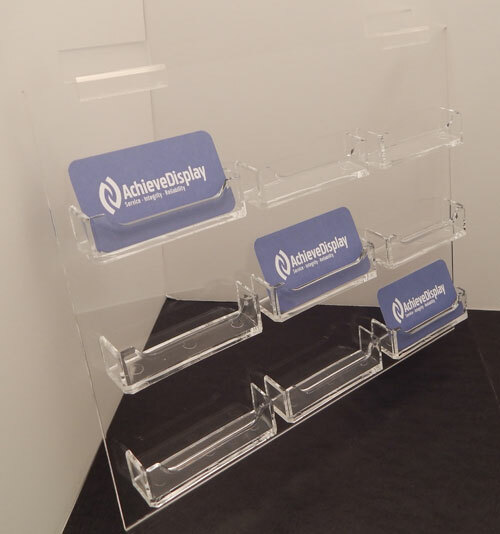 Give your customers freedom to choose complementary services to their purchase with you by placing multiple business cards in this six slot business card holder for slatwall. Holder keeps business cards within easy reach and organized. 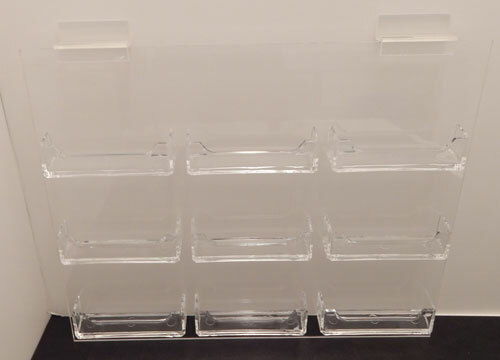 Clear acrylic gives a clean and professional look.